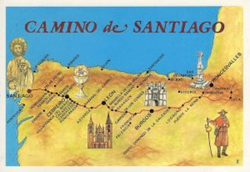 Walking the Camino de Santiago, the pilgrimage route in Spain, is an example of transformative travel. 1. Personalization and customization. Butlers and personal concierges are expected at a top luxury hotel or resort. Their role is primarily reactive. A truly luxury experience is considered one where a resort finds out guests’ passions and special interests in advance of a stay and proactively suggests and plans activities and experiences that address those interests. Case in point: a Four Seasons Resort in the Caribbean sends a guest questionnaire in advance and designs a suggested program of resort and destination activities based on those needs. 2. Desire for authenticity. Everything from spa treatments and food to beverage, decor and selections in the hotel’s boutique should reflect the local culture and traditions, and give guests an opportunity to interact with that culture. 3. Giving back to society. Cause related marketing and the social responsibility of brands have been around for a decade or more including sustainability, recycling, voluntourism programs, and enlightened labor practices. Now, expect food waste to become a growing issue. With growing inequaity in the world and media accounts of food shortages and starving populaces, consumers are looking at how their retail and hospitality brands are addressing this issue through food donations, upcycling and the like. 4. Making travel easier, from airport arrival to airport departure. With the entire process of traveling becoming more complicated and uncomfortable, hotels that can deliver a seamless door to door service, going beyond the strict hotel experience ,will build loyalty. Think airport greeters; alliances with luggage shipment companies; personal shopper to “stock” a hotel closet with clothes for a weekend getaway, eliminating the need to pack a suitcase; and a waiting lounge for hotel guests in the airport. (this isn’t new but expect it to be more common). 5. Experiences and more experiences. The more they involve interactivity and special access the better. 6. Transformative travel. What do you do after you’ve been to Paris, Shanghai, Tuscany, Macchu Pichu,, the Taj Mahal several times? You search for experiences that are transformative – your health (wellness vacations); your spirit (ashrams, religious pilgrimages like the Camino de Santiago), your creative side (painting weeks), your mind (trips with political and economic themes like the New York Times trip to Saudi Arabia to explore the petroleum industry). A leader in travel and lifestyle marketing for over 35 years, KWE Partners has developed innovative marketing, public relations and social media campaigns for a "who's who" of luxury brands: from global hotel brands, boutique hotels, spas and resort developments, to destinations, cruise lines and travel technologies. We approach PR as a branding tool, with sales-oriented thinking and ROI. Our relationships secure clients top-tier media placements and our award-winning social marketing campaigns leverage influencer and consumer engagement to exponentially increase clients’ visibility and online reach. As thought leaders in the travel industry, we go to great lengths to identify emerging trends so clients can benefit from changes in the marketplace and to inform our campaigns. We deliver the latest trends through our internationally syndicated Luxury Travel & Lifestyle Trends blog.